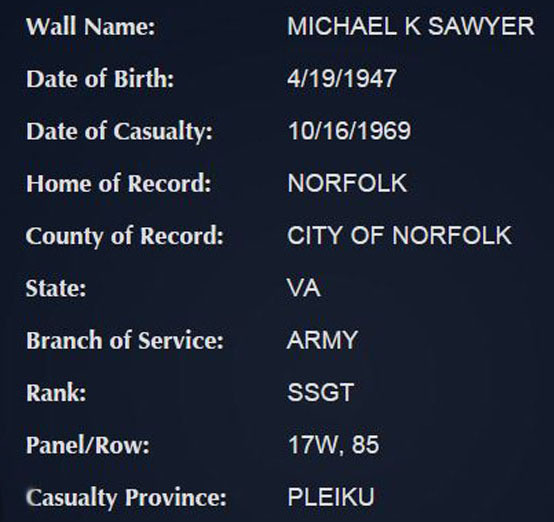 "I didn't get to know SSG Sawyer well until spending the night BSing with him before he was killed. His death did and continues to deeply impact me. He was a great guy with passionate dreams. He never made it through the next night to pursue those dreams because he chose to go out for one last overnighter when he was supposed to be in the rear processing out." 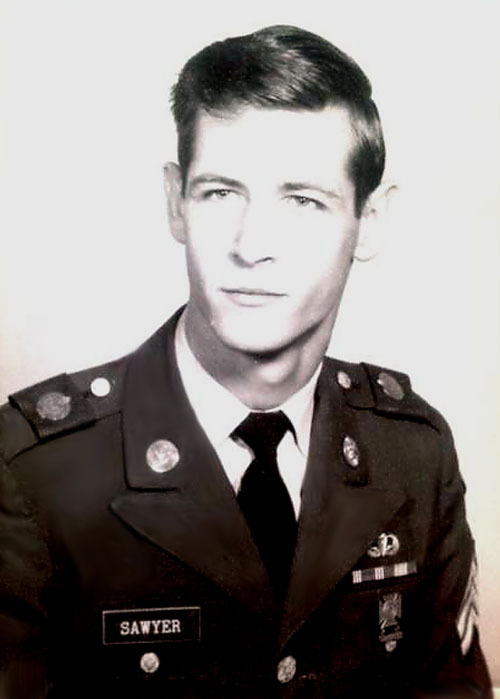 Webmaster's Note: The Disposition Form (DF) contradicts a first-hand and personal account of Sgt Mike Medley speaking with SSG Sawyer the night before he was killed. He only had one (1) day left in Vietnam. Sawyer went out on one last night mission. He saw lights and called in a "battery three". One worn tube fired into his group killing several men before a "check fire".